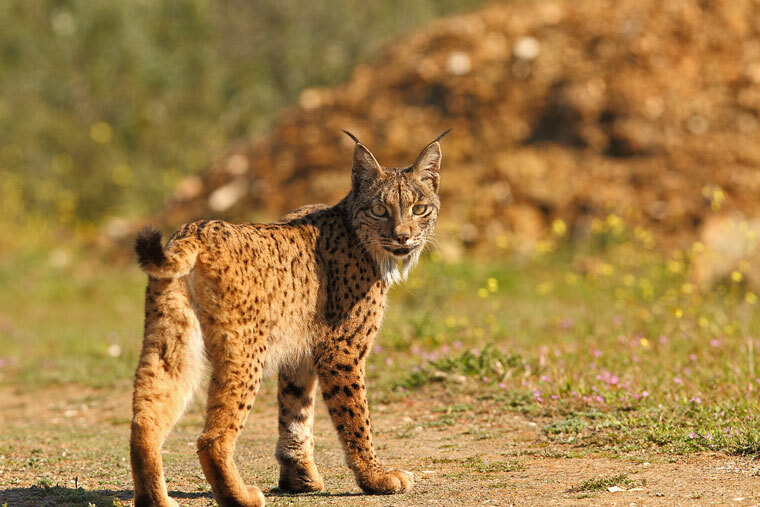 Enjoy hides for one of the most threatened felines in the world: the Iberian lynx. 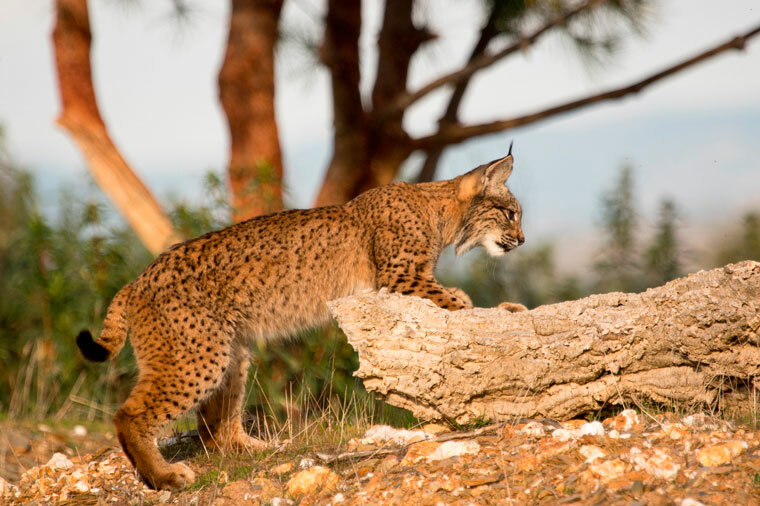 From December to May the three double hides dedicated exclusively to the Iberian lynx brings you the opportunity to photograph one of the most iconic species of the Iberian fauna. 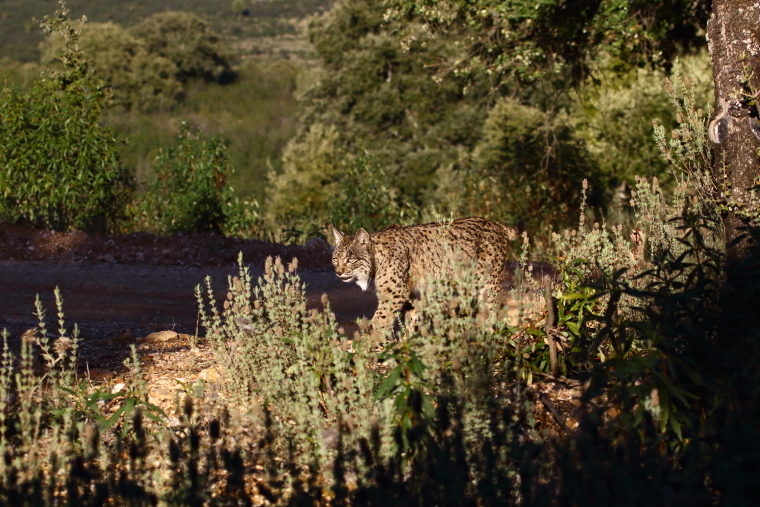 Photographing Iberian lynxes, if done with the necessary respect towards the species and current legislation, is not an easy task. 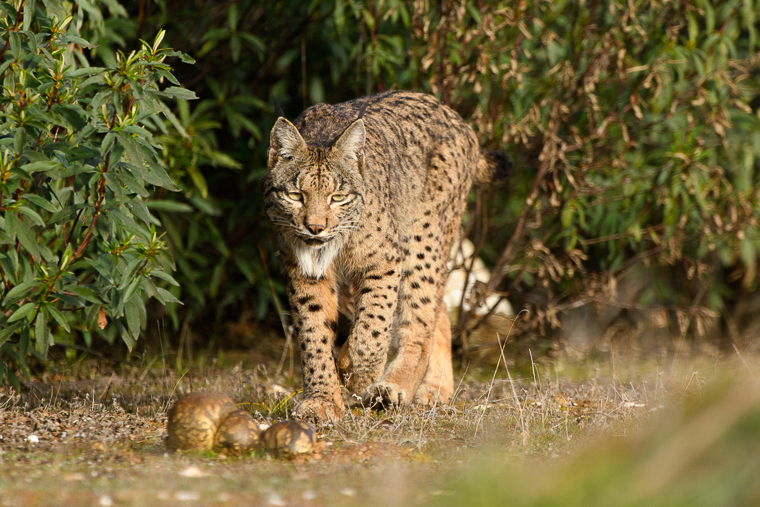 In our services, instead of feeding the lynxes, we have the knowledge of experts to place the hides in the usual paths of the lynx. We just have provided some places with water. The three hides are in a private estate, Puertobajo, in the area of ​​Andújar, probably the best place to observe this species. In these hides the photos are taken through a one way glass. This system allows you to move the lens with no risk of disturbing the animals. Our glasses are made in high quality and have been tested by professional photographers who testify to the good results of their photographs. Our guide in the area will pick you up at the agreed point and will be responsible for driving you through the long forest trail until the hides. The timings will be agreed at the time of booking, in general it is whole day session. Of course, it is not allowed leaving the without the assistance of the guide. It is strictly forbidden to leave the hide before the guide knocking on the door. Please consult our rules and suggestions. In the case of the lynx, it is also recommended to avoid any smelling that may betray our presence: cologne, shampoo, etc. Type of service: three fixed hides for two people. Season: from December to May. Capacidad máxima: seis personas en tres hides dobles.